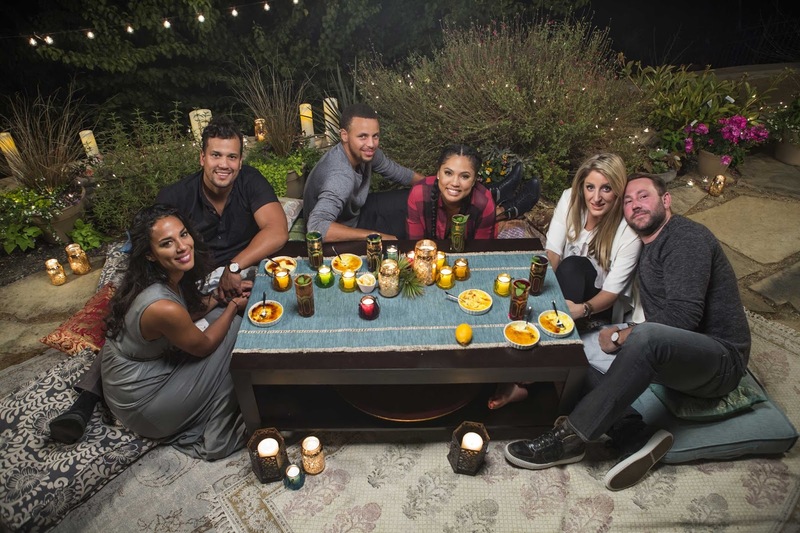 Ayesha Curry brings family and friends together to celebrate as she cooks up her favorite recipes, in new series Ayesha's Homemade, premiering Saturday, October 22nd at 12pm ET/PT on Food Network. A cookbook author, super-foodie, mother of two, social media maven and loving wife to NBA superstar Stephen Curry, Ayesha’s life can get hectic corralling her two young daughters and juggling her career and marriage, but she always has time for a delicious meal. 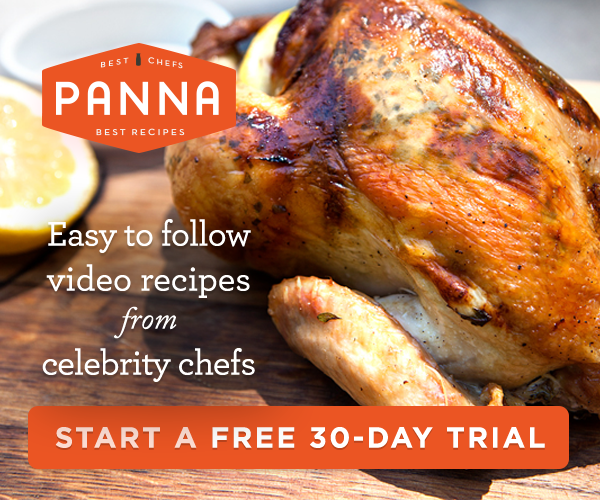 Join Ayesha through six half-hour long episodes as she takes viewers inside her home, showcasing quick and tasty recipes perfect for any gathering. Traditions are big in the Curry house, but since moving to the west coast and starting a family, Ayesha wants to start some traditions of her own and what better way to start than with food. In the premiere episode, Stephen has his friends over who spring on Ayesha that they are expecting dinner and not just the delicious Maple Bacon Popcorn snack she has prepared. 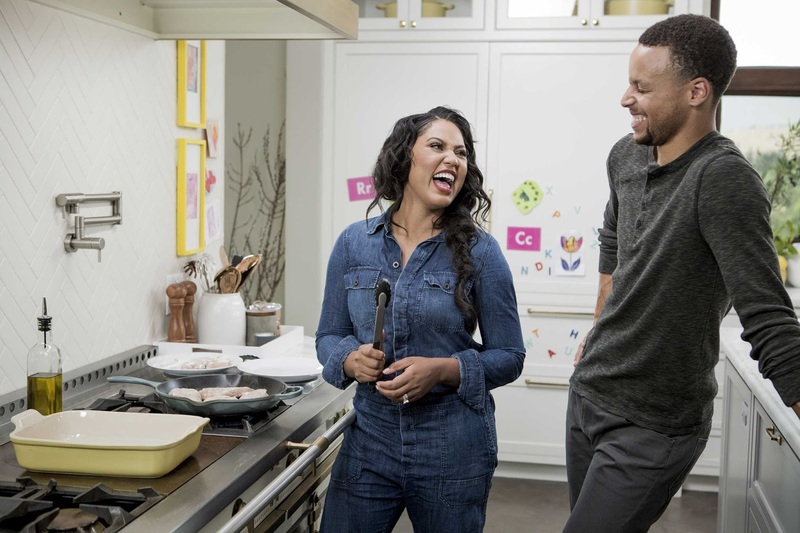 Ayesha has to think on her feet and come up with a meal plan fast. Lucky for her she’s got some built in help from these boys to prepare a White Chocolate Bread Pudding using leftover croissants, and Ayesha knows she will win them over with her Beer Bourbon Splash; but will she push the vegetables too far with her Cauliflower Hot “Wings” and Sloppy Joe Stuffed Peppers? Bloody Mary topped with Brown Sugar Bacon, Ayesha also prepares Citrus Shrimp Salad, Sausage Stuffed Mushrooms, and Spinach Feta Rolls. To finish off the day of indulging, Ayesha surprises the girls with a twist on her chocolate-y childhood favorite, Skillet S’mores. Holiday meals have always been important to Ayesha and her family, and this year Ayesha and Stephen’s parents visit them at home to celebrate. 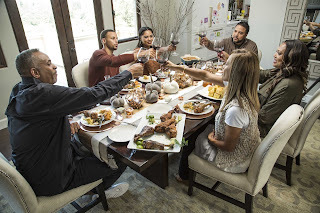 Ayesha’s dad John and father-in-law Dell join Ayesha in the kitchen to make the cheesiest Mac and Cheese, Creamed Cornbread, and of course Southern Mustard Greens, but when it comes to the turkey, will it be double the trouble, or double the fun? 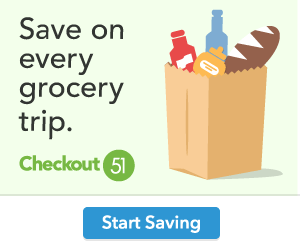 contributor and frequent guest on the Rachael Ray Show and Good Morning America. She has also been featured as a go-to lifestyle expert in top lifestyle print and online publications, including ELLE, Vogue, Forbes, Time, InStyle, People, Vanity Fair, USA Today, Essence, POPSUGAR, Refinery29, Elite Daily and Sunset Magazine. Ayesha is an ambassador for No Kid Hungry, an organization that is working to end childhood hunger. 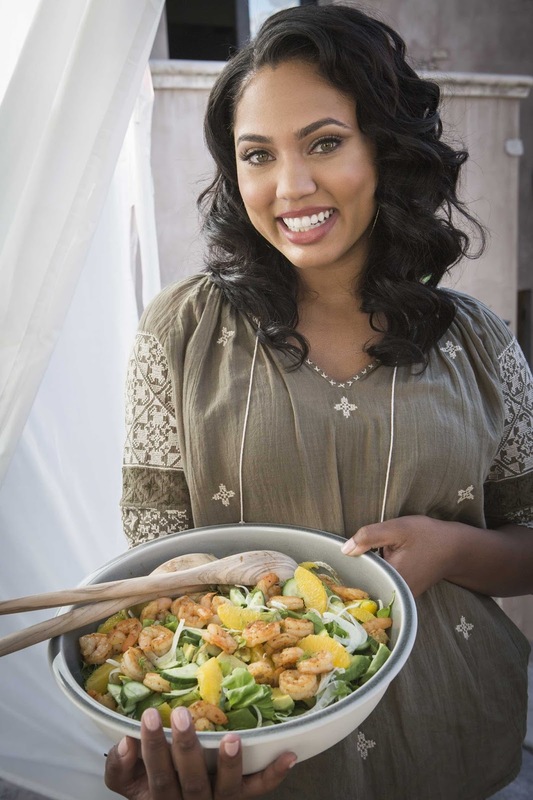 Ayesha’s first cookbook, The Seasoned Life, published by Little, Brown and Company was just released, and contains over 100 of Ayesha’s favorite recipes. Discover Ayesha's favorite recipes and learn more about her cooking influences and family at FoodNetwork.com. Join in on the conversation on social media using #AyeshasHomemade. Ayesha’s Homemade is produced by High Noon Entertainment.